Have you ever wondered about a crazy, but effective way to start a fire in a pinch? Well, here it is. Now, remember, this is not your first choice in any situation. But if you are ever caught without matches, this could be just what you need. You can use an alkaline battery and a foil gum wrapper. This YouTube video shows just how simple it is to get the flame you need. This is an amazing trick. These are items that we can all keep handy. Most of us have batteries, and gum can be picked up at any store. Not all gum comes wrapped in foil anymore, but Wrigley still uses it for some of their gums. Just keep them in your glove compartment, purse, or backpack. They are small enough to not take up room or add too much weight. Simple survival help. I wouldn’t use this as a replacement for matches. Let’s face it, the method does come with some side effects. Burning your fingers is probably going to happen. Not seriously, but enough to hurt. 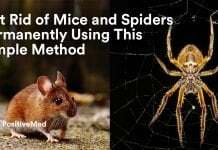 All in all, this is a handy, crazy little trick that just may save your life. Something everyone can keep on hand and perform easily. Eveready takes on a whole new meaning! 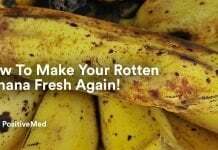 How To Make Your Rotten Banana Fresh Again!